XTC has been called the Steely Dan of pop music. They stopped performing live early in their career but continued to put out inspired albums and videos during the '80s and '90s including great songs such as “Senses Working Overtime,” “The Ballad of Peter Pumpkinhead,” “Mayor of Simpleton,” “Making Plans for Nigel,” “Earn Enough for Us,” “Dear God,” and countless more. As described in the 2018 documentary This is Pop, XTC had two major songwriters in Andy Partridge and Colin Moulding that wrote in different styles but still complemented each other using lush harmonies, unique hooks, insightful lyrics, and ground-breaking production. For those new to XTC, this is the chance to hear an incredible pop band’s music that reminds one of The Beatles, yet is far more underappreciated. 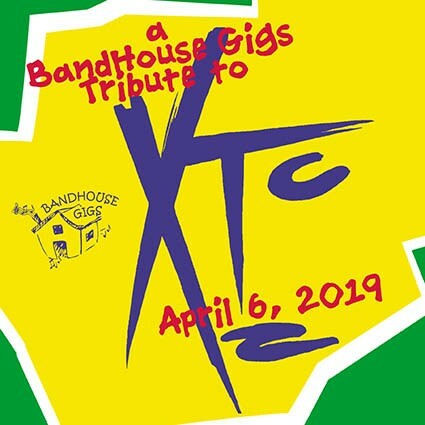 BandHouse Gigs is the DC area’s premier producer who enlists over 40 of the area’s finest musicians to perform these songs live for the first time including: The Duskwhales, The Tone Rangers, Jonathan Mudd, Todd Wright, and The Sidleys.